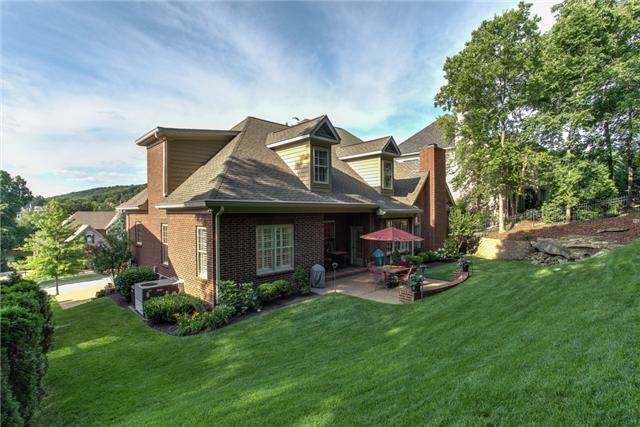 Nestled in the gentle rolling hills of Ashton Park, 169 Allenhurst Circle in Franklin is a beautiful upgraded Tudor home with style and class that you must see to believe. Surrounded by shaded trees and mature landscaping with an irrigation system, you’ll be amazed by its exterior beauty and interior charm. 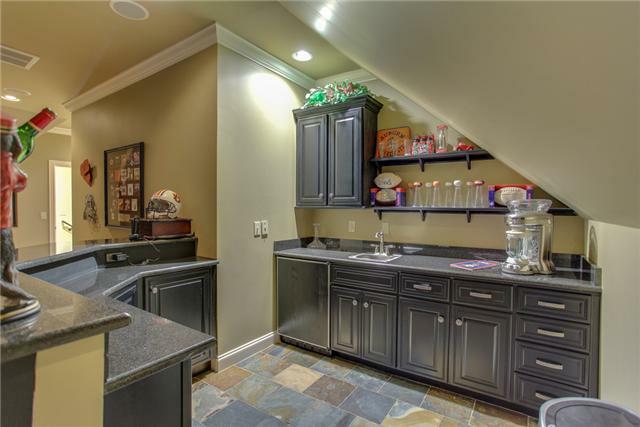 This home features five bedrooms and three-and-a-half baths spanning 4,879 square feet along with a spacious three-car garage. The home, situated on a quarter-acre-plus lot in the prestigious gated community with a park is attractively priced at $729,000. 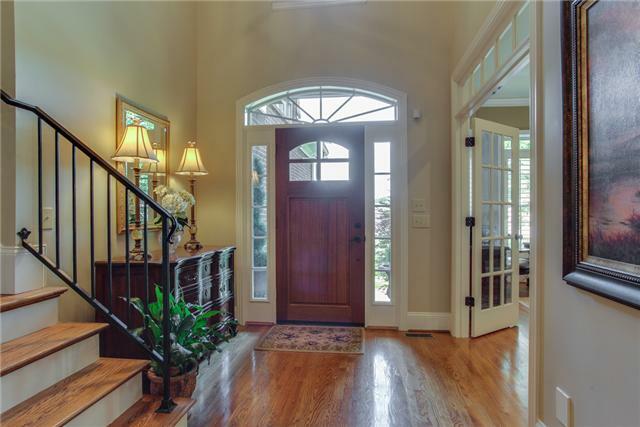 The bright and spacious foyer is an apt place to welcome guests, featuring wrought iron railings on the steps to the second level, sparkling hardwood floors and French doors with a transom leading to the bright and roomy office/living room on the left. 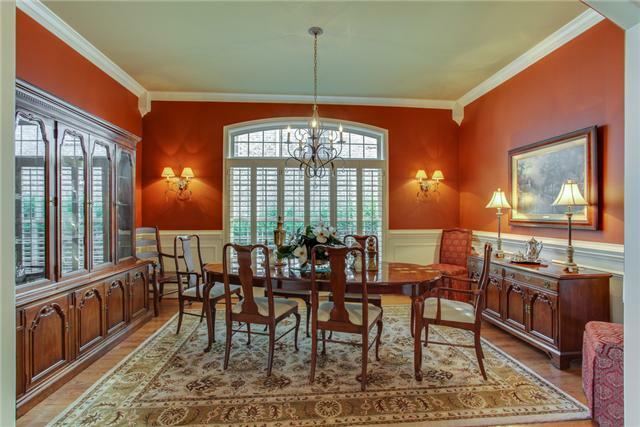 Just beyond the office/living room is a spectacular dining room large enough to host a banquet, with unique crown molding, wainscoting and anchored by a timeless chandelier in the center, along with custom plantation shutters and a large window flanked by traditional shaded double sconces. 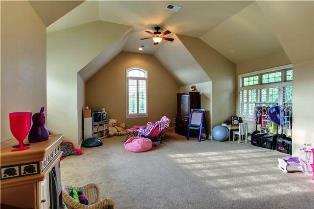 It’s the perfect space for hosting those special holidays and occasions when family and friends gather. 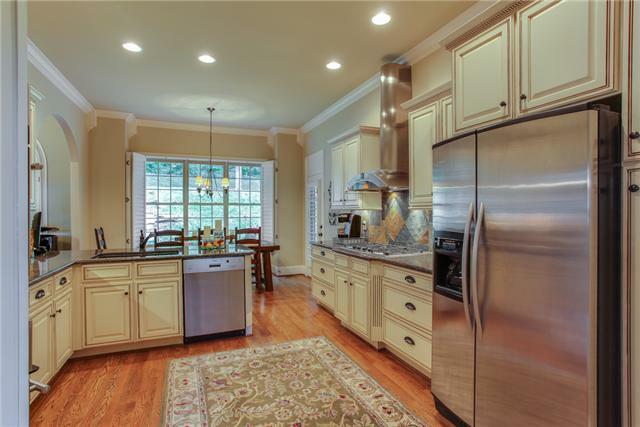 The true heart of any home is the kitchen and family room. And the rooms at 169 Allenhurst Circle do not disappoint. As you enter from the hallway through the unique oversized rounded opening, you’ll be awed by the vaulted ceiling with exposed stained beams, accent lighting and a stunning chandelier hanging effortlessly from the center ceiling’s center. Included is a cozy fireplace surrounded by windows with plantation shutters which allows natural light to gently filter throughout. Attached to the family room though another beautiful unique oversized rounded doorway is the stunning kitchen you’d be proud to make any meal in. The large eat-in kitchen which overlooks the backyard features lovely light cabinetry with oil rubbed bronze hardware, under cabinet lighting, a unique tile backsplash, stainless steel appliances, gas cook top, double oven and wonderful granite countertops. A French door leads from the kitchen to the patio overlooking your lush green private backyard oasis. 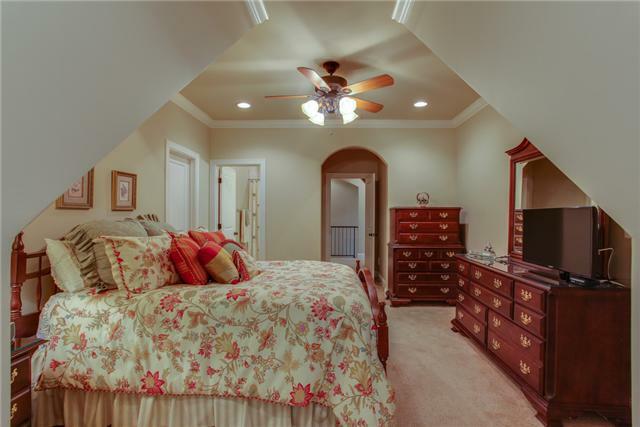 The ample first-floor master bedroom is a true retreat with a unique coffered ceiling and centered by a lovely chandelier. 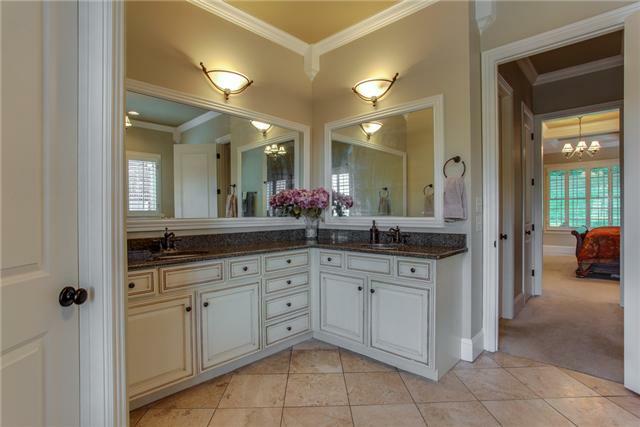 The en suite master bath includes upgraded cabinetry, lighting, beautiful granite countertops, tile flooring, his and her sinks and nearby closets. The home has every bell and whistle you would expect from a home with such ambience. On the second level, the kids will enjoy some space for themselves in the large bonus room, which also includes an area for the adults with a wet bar featuring custom cabinetry, high-bar seating, granite countertops and tile flooring along with a sink. 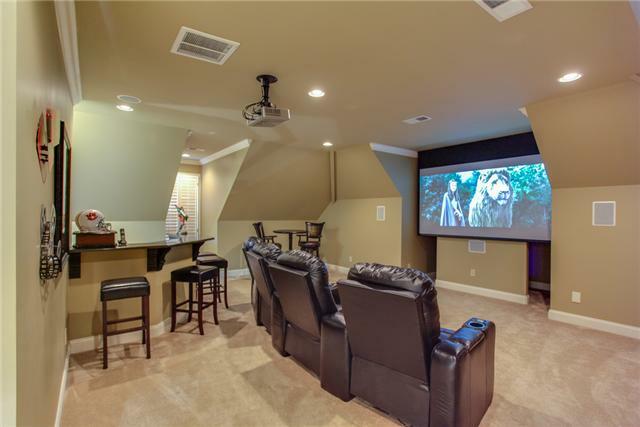 There’s also an adjacent area for a wide-screen television and theater seating. It’s the perfect spot for entertaining friends on game day. 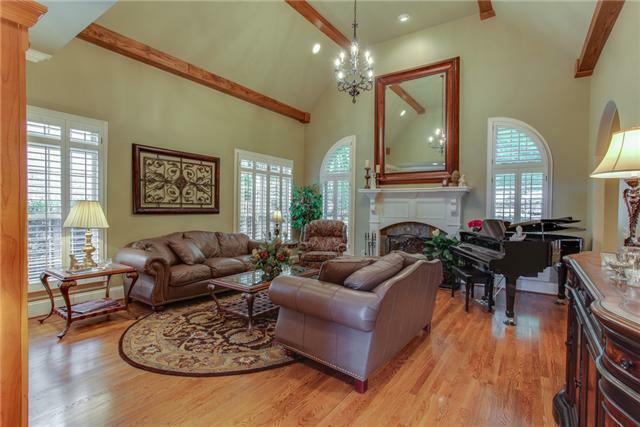 Come see this jewel in Ashton Park today, located off Mallory Lane and East McEwen Drive in the Cool Springs area of Franklin, with quick access to I-65. The home is zoned for Kenrose Elementary and Woodland Middle in Brentwood, and Centennial High in Franklin. 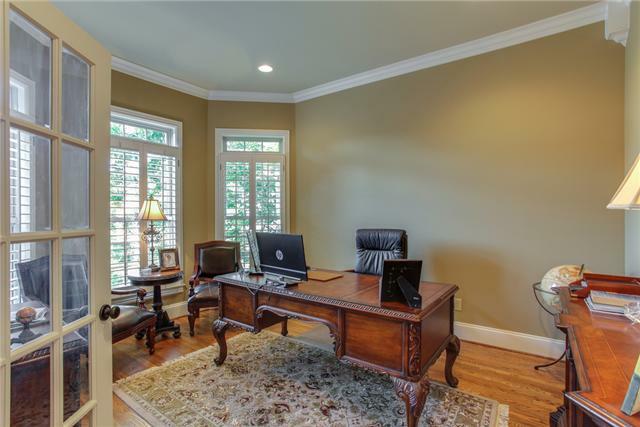 Call Stephanie Webb at Benchmark Realty today at (615) 371-1544 for an appointment or with questions.